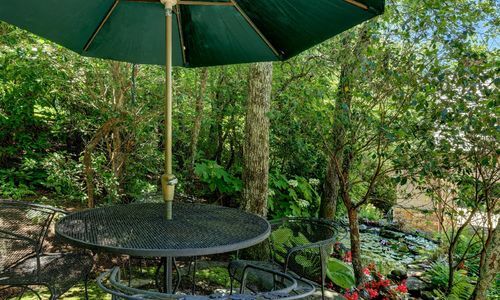 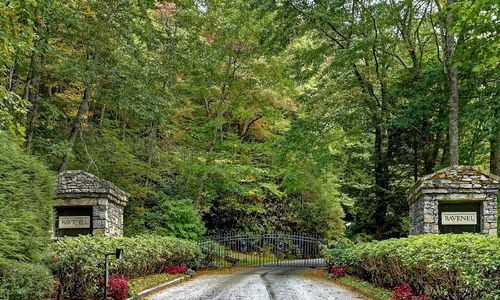 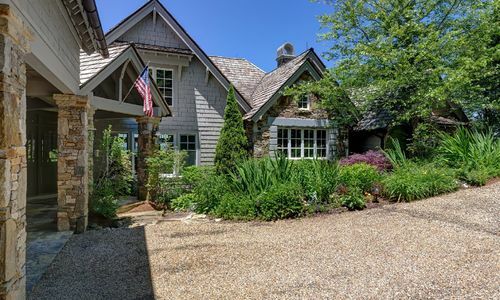 You will be instantly captivated by the beautifully landscaped grounds and lovely gardens as you drive down the driveway to this home. 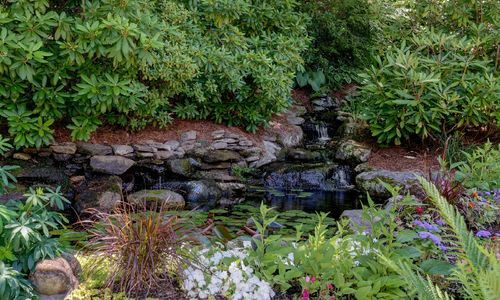 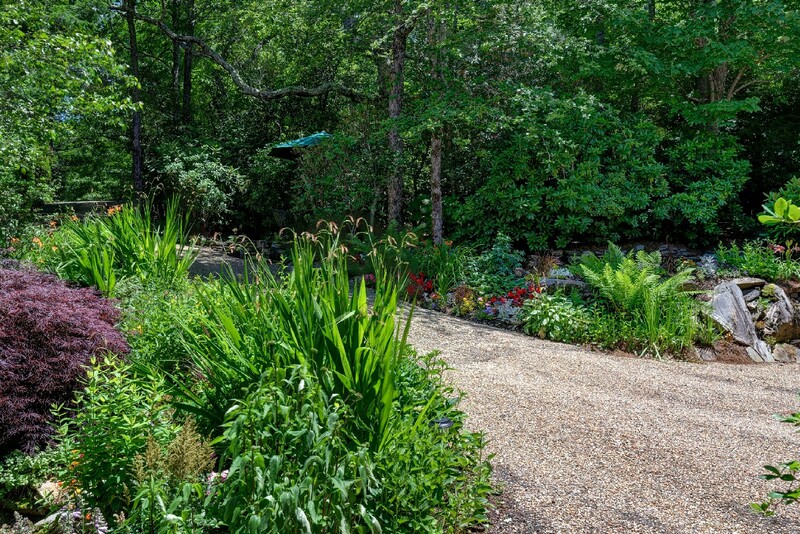 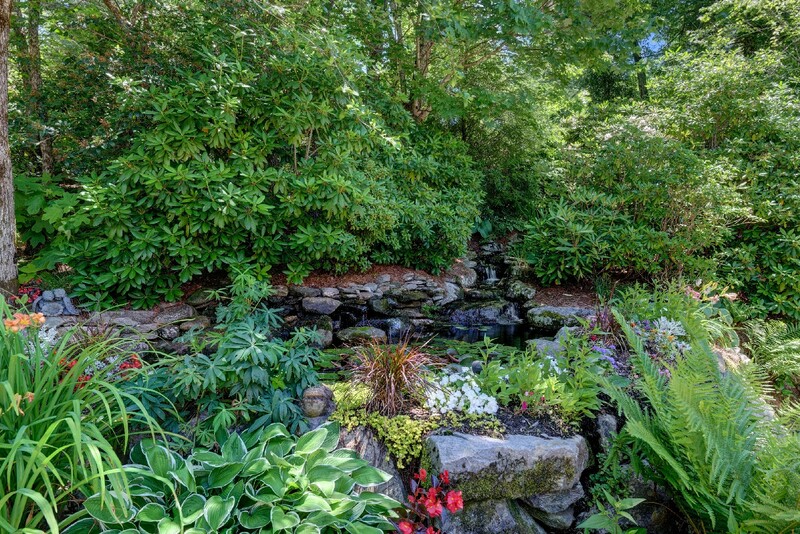 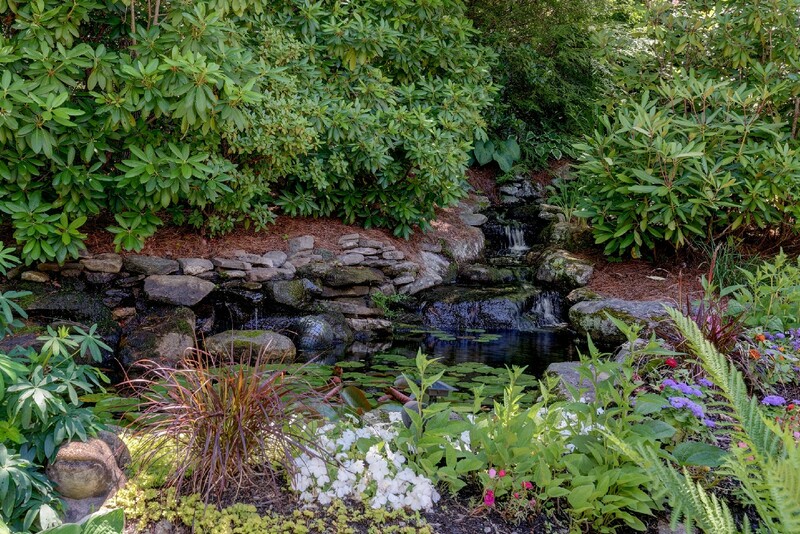 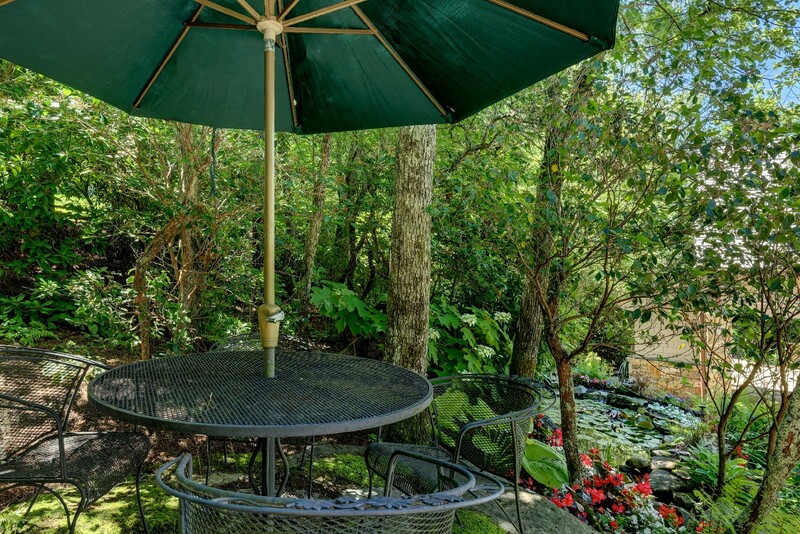 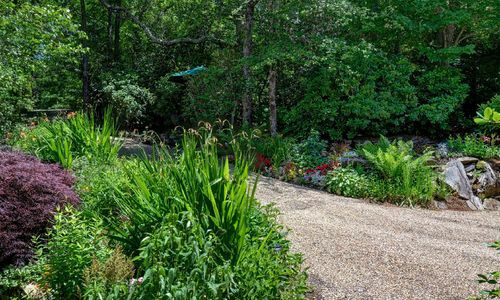 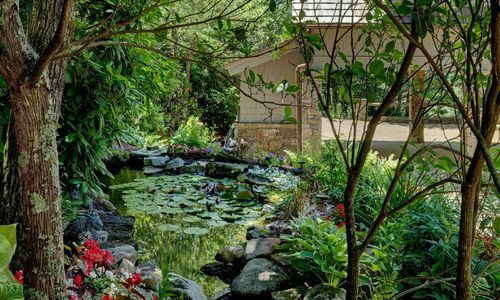 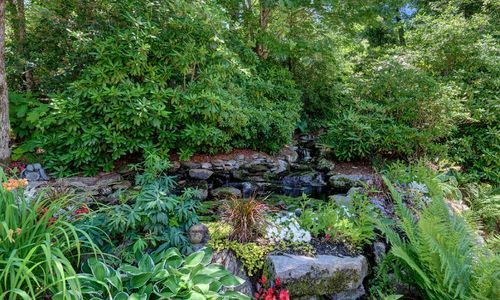 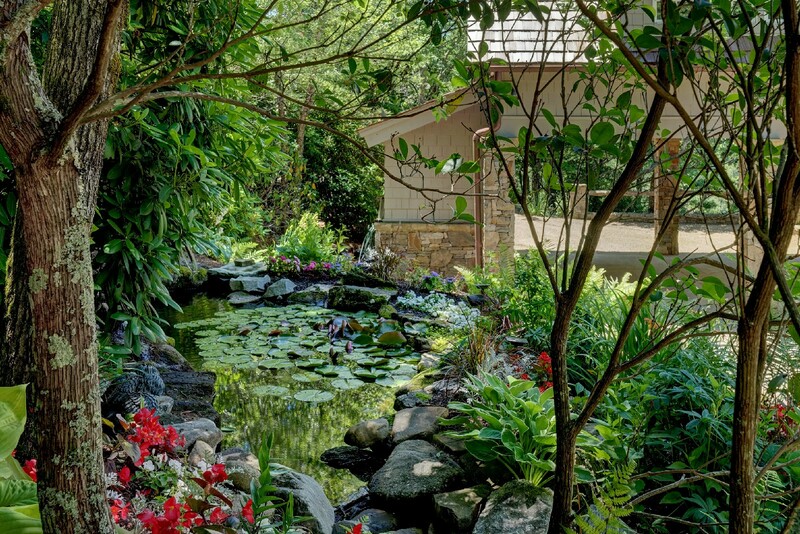 You’ll love the babbling sound of the water feature that flows through the stone driveway and is visible from the kitchen window. 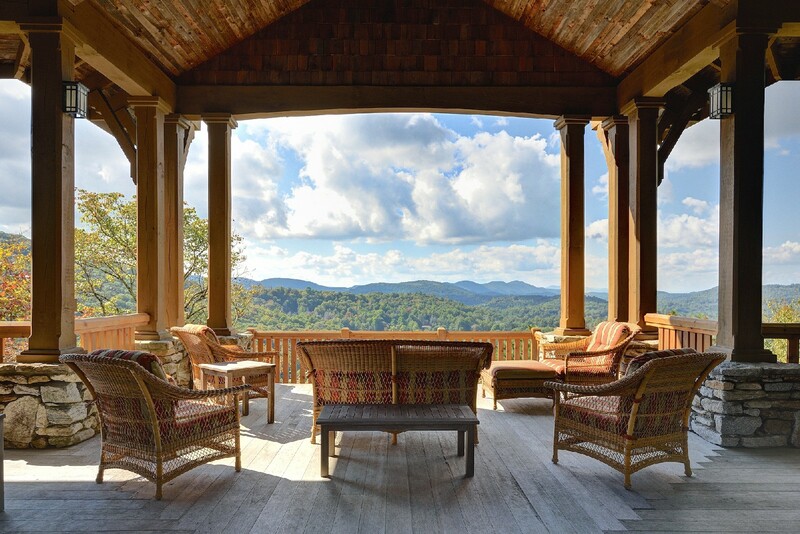 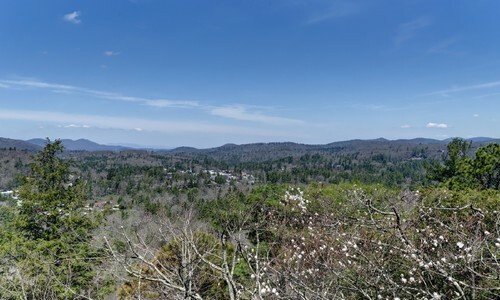 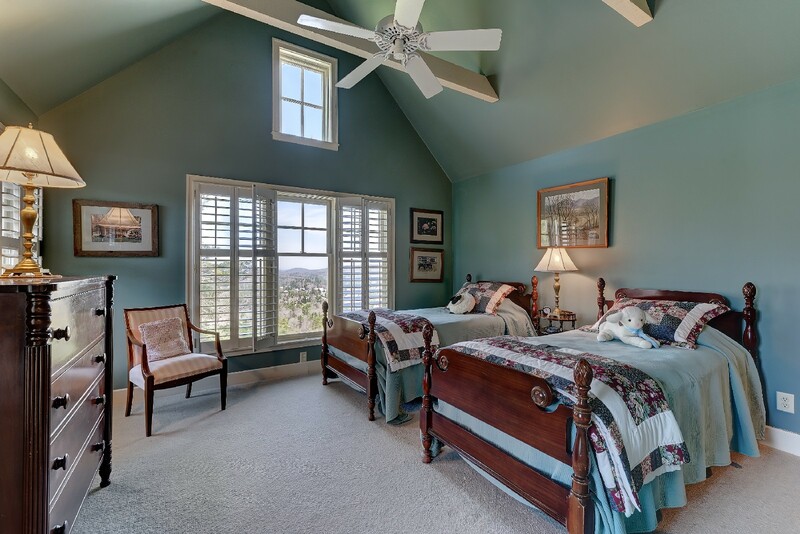 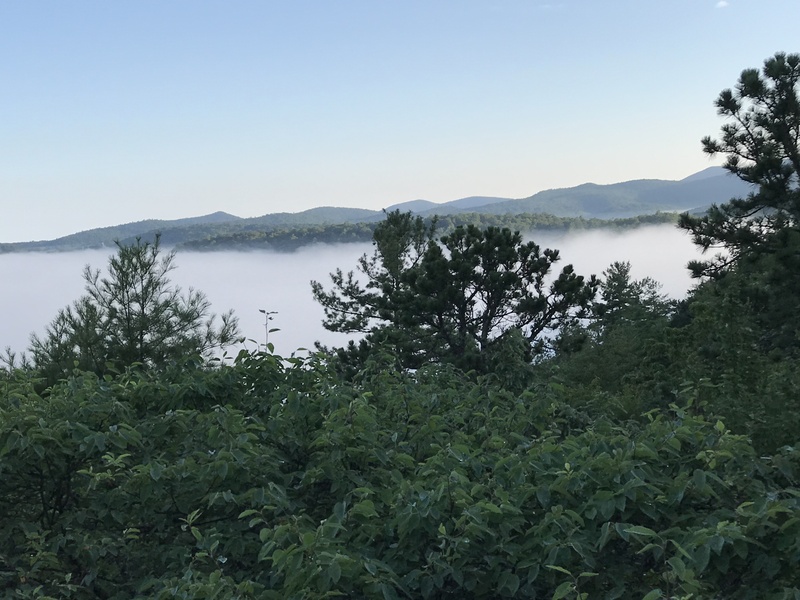 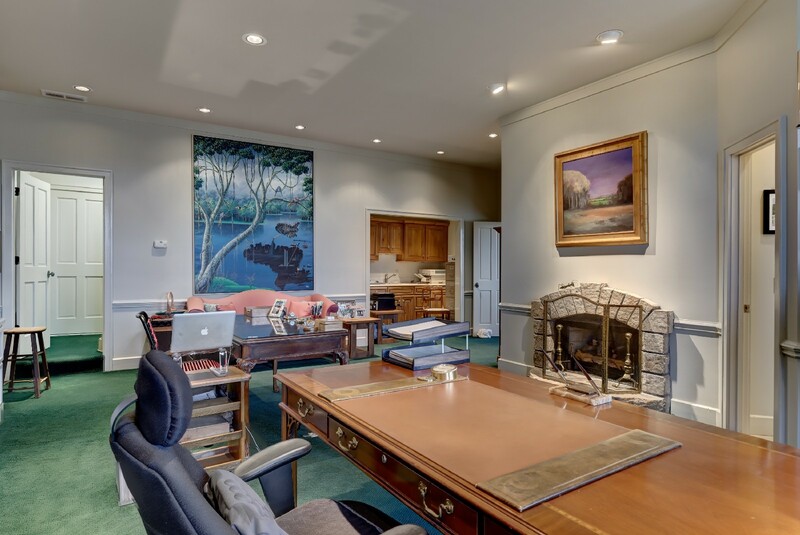 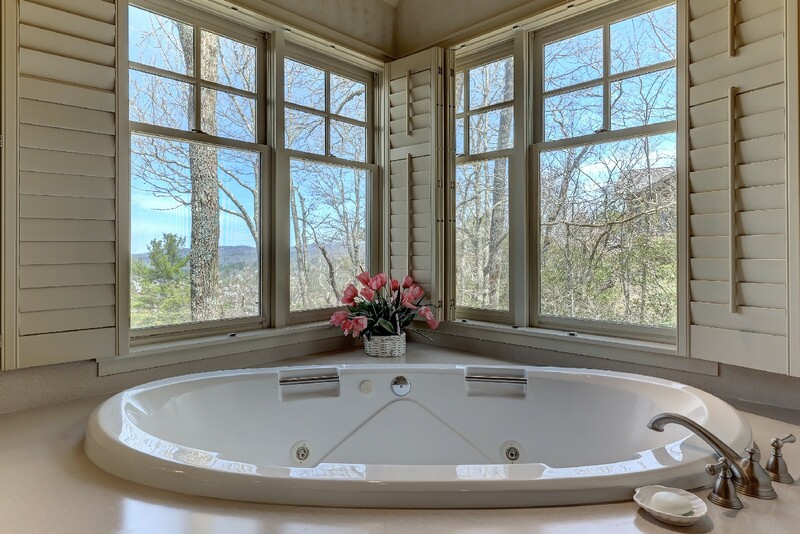 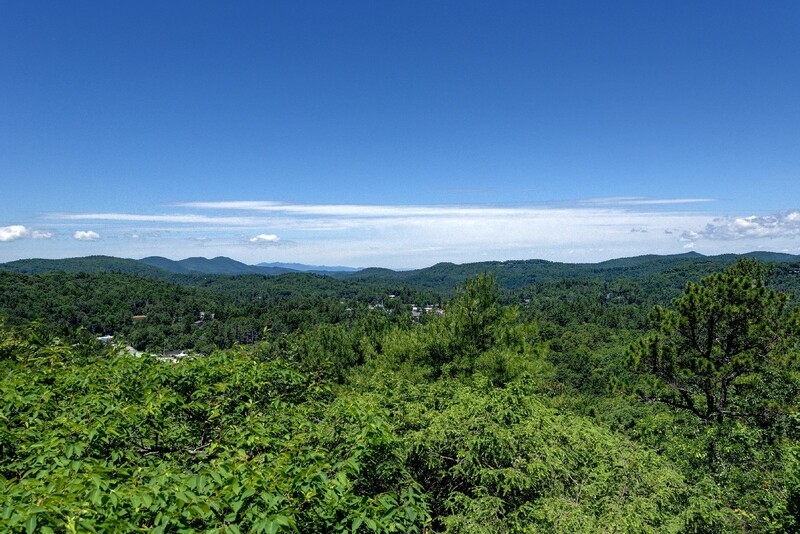 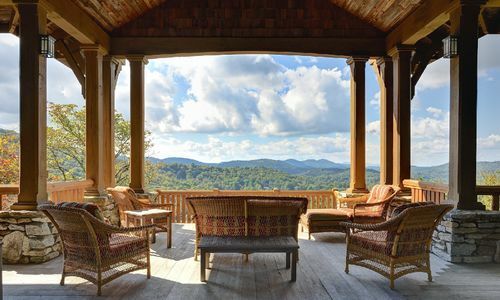 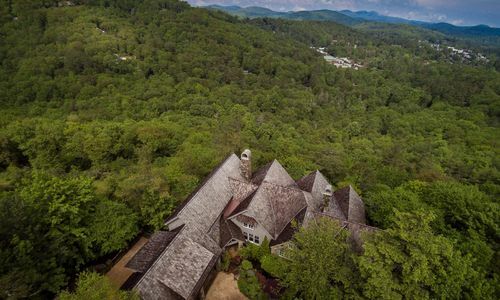 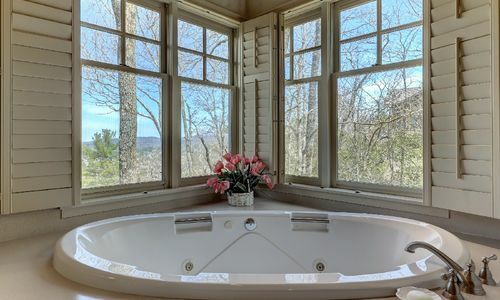 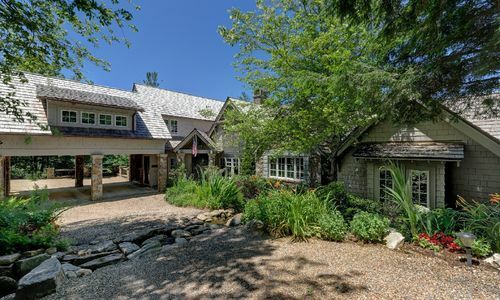 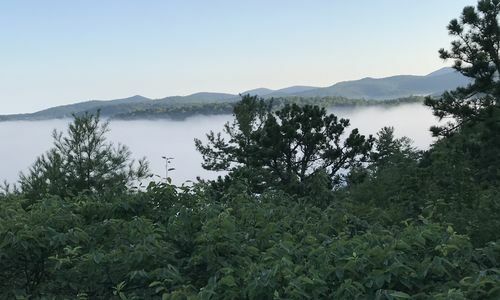 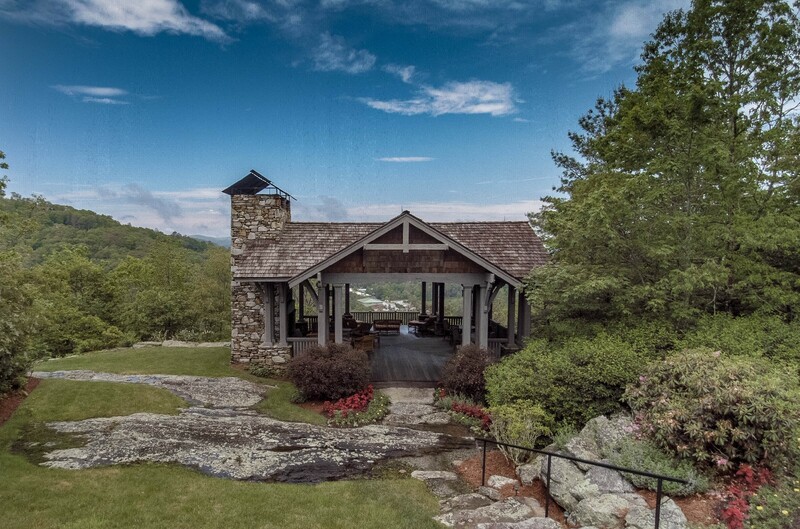 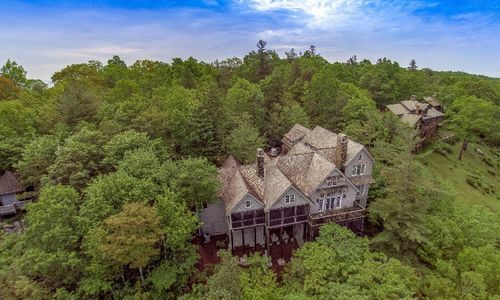 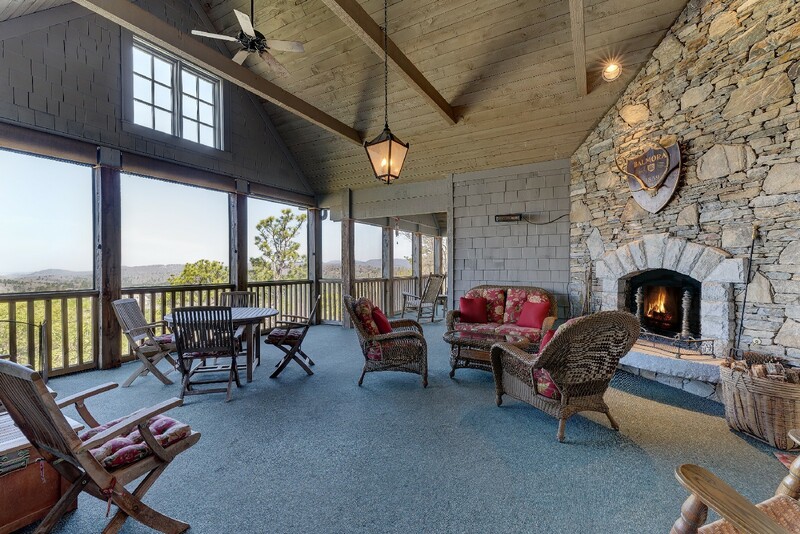 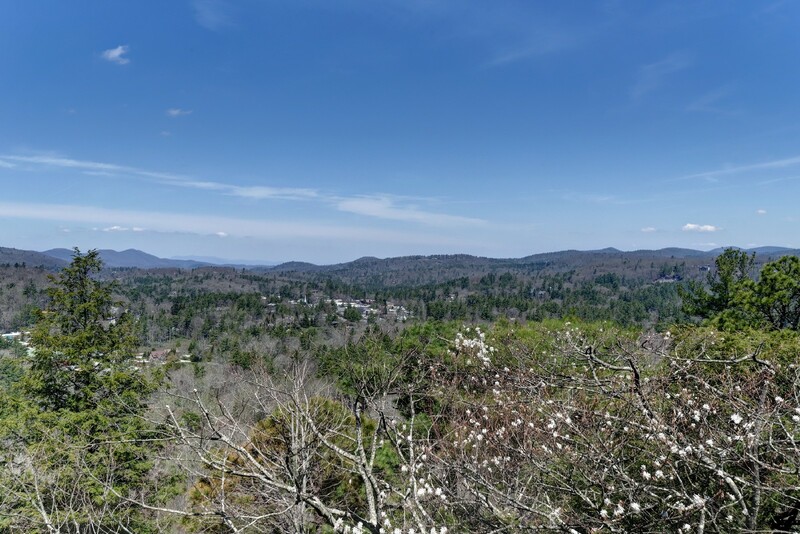 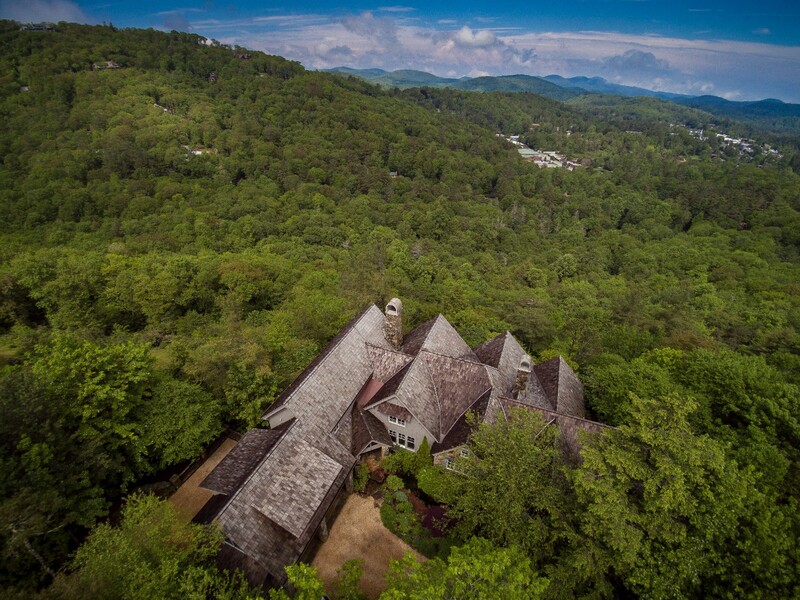 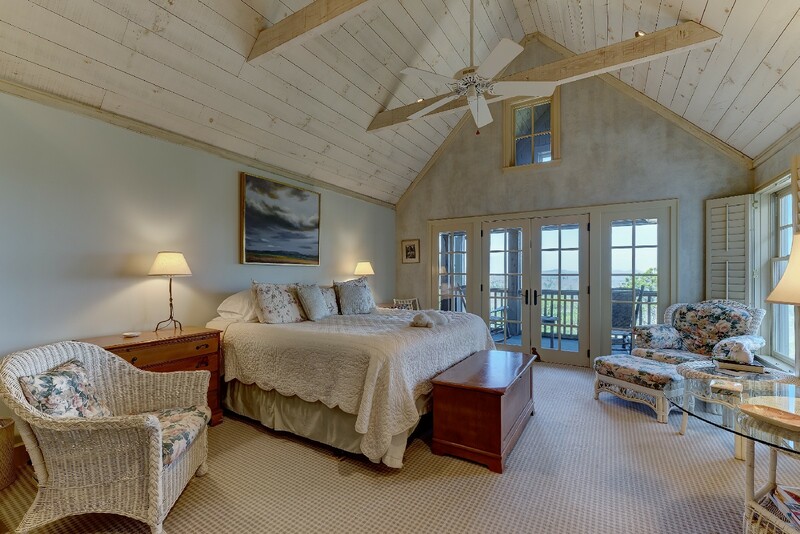 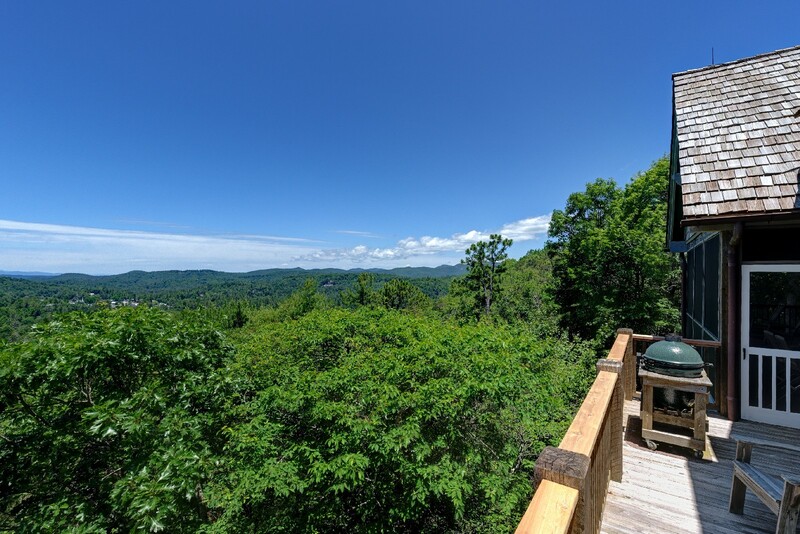 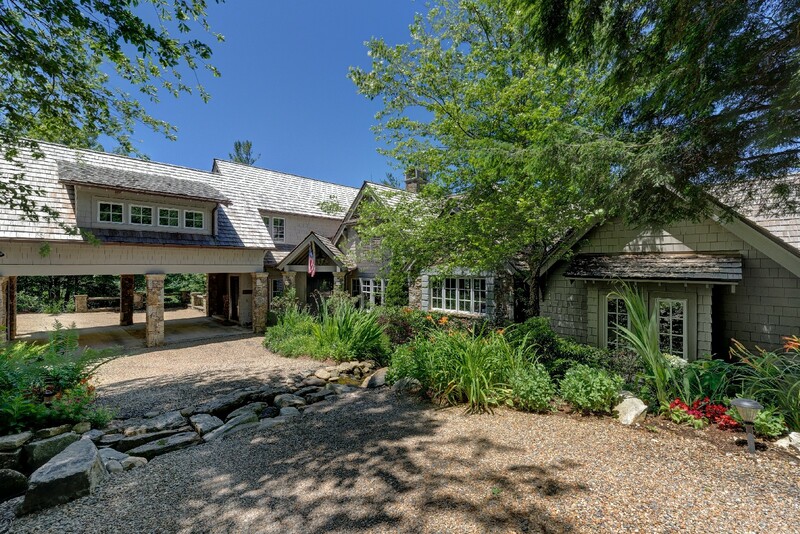 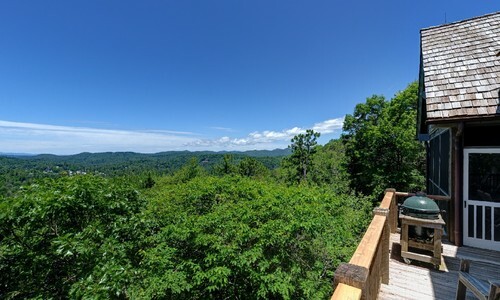 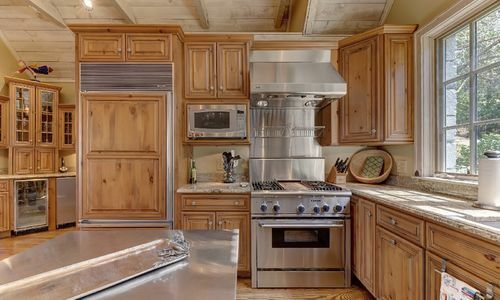 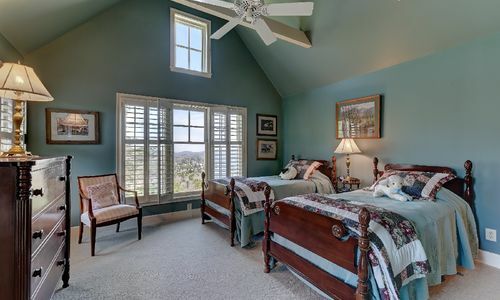 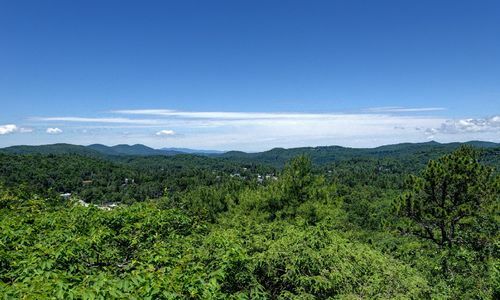 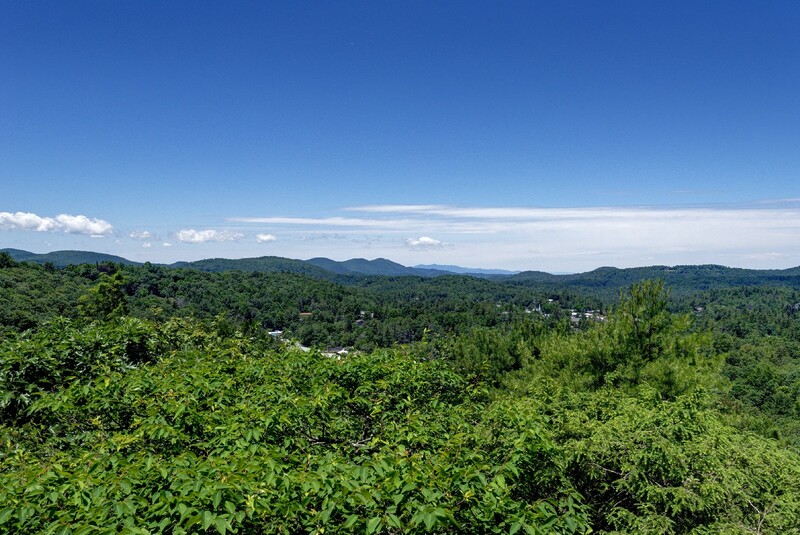 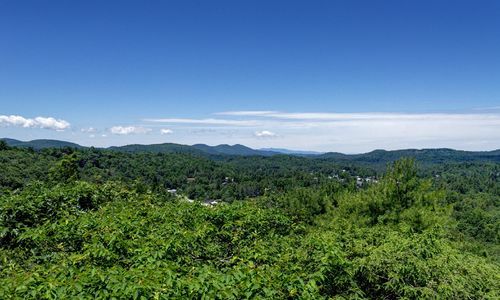 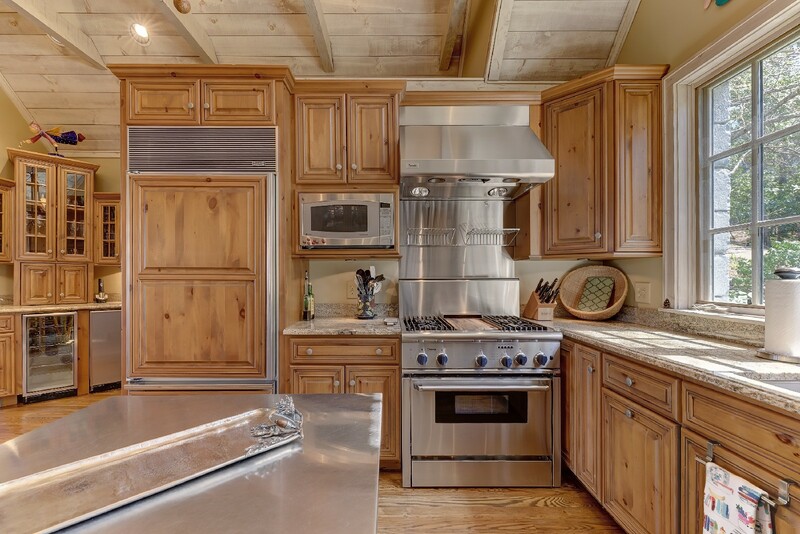 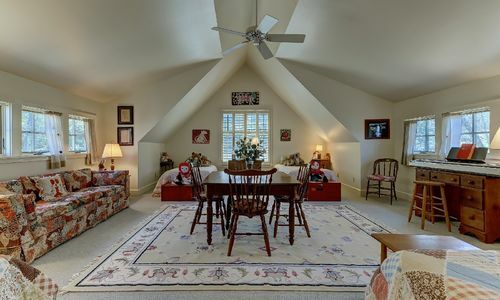 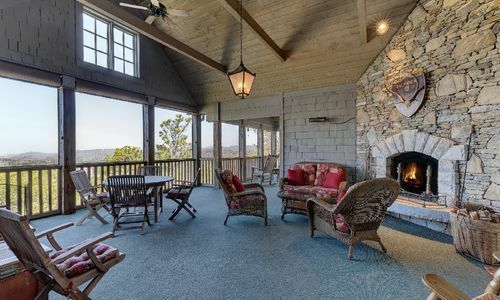 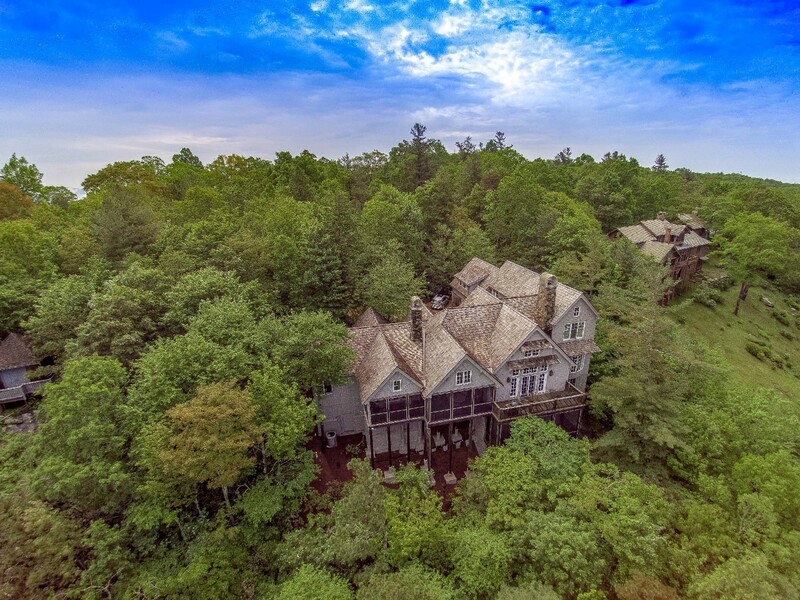 This 4 bedroom, 5 1/2 bath home has spectacular views of a range of 30 mountains, including Satulah, Little Bear Pen and Shortoff, as well as overlooking the picturesque Highlands. 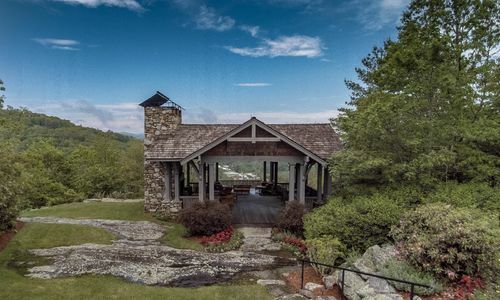 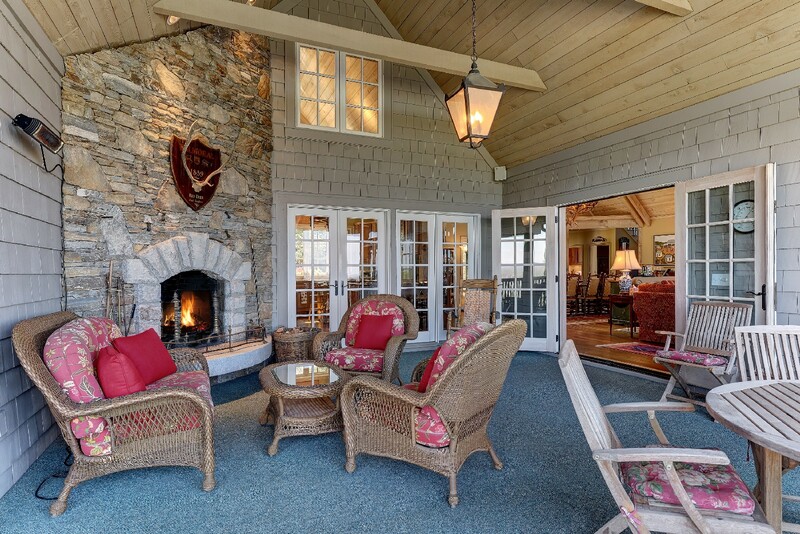 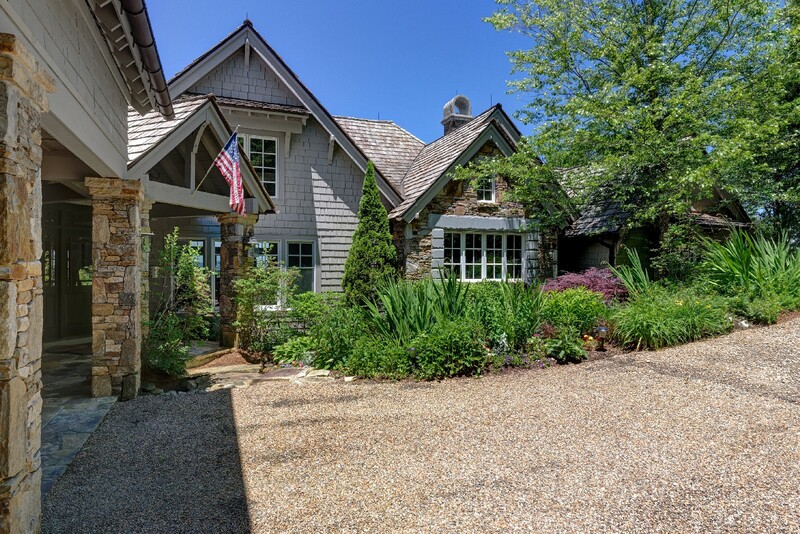 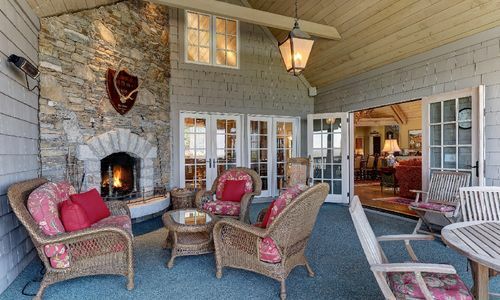 It’s a perfect home for entertaining, with its covered screened outdoor living space with its own stone fireplace for enjoying the cool evenings and spectacular sunsets. 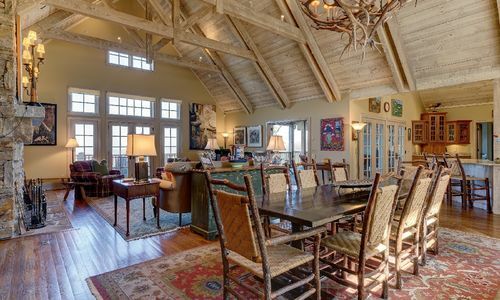 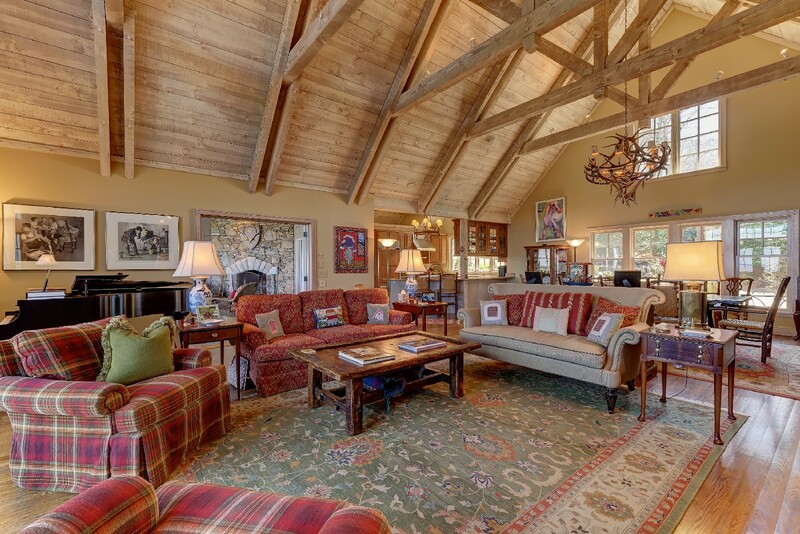 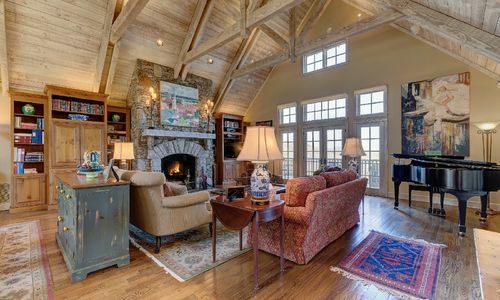 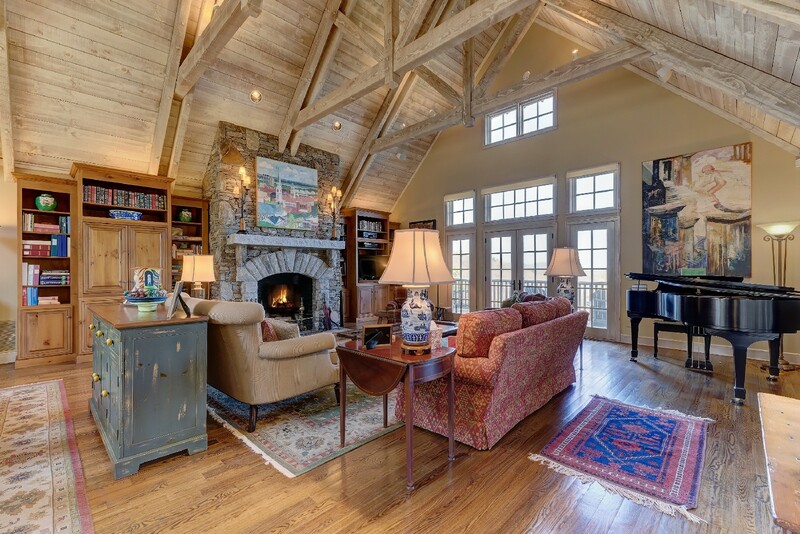 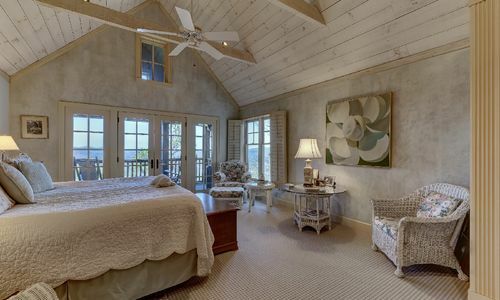 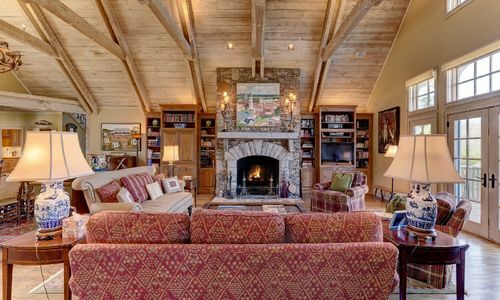 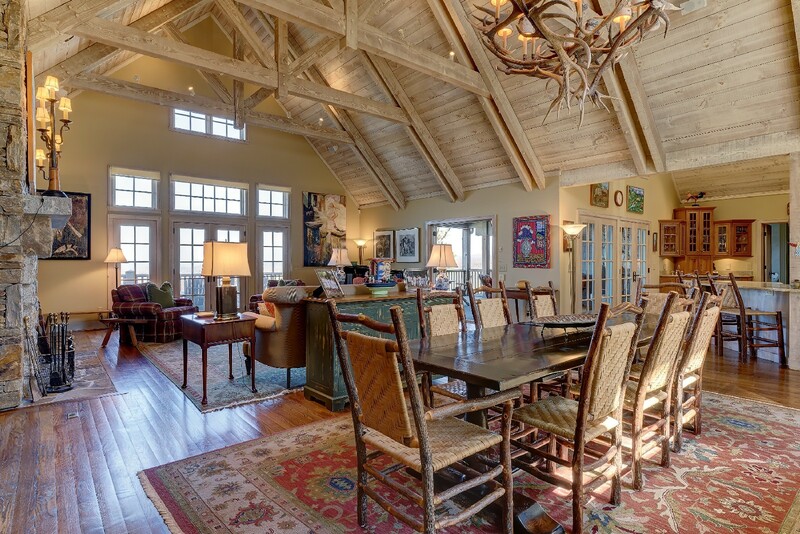 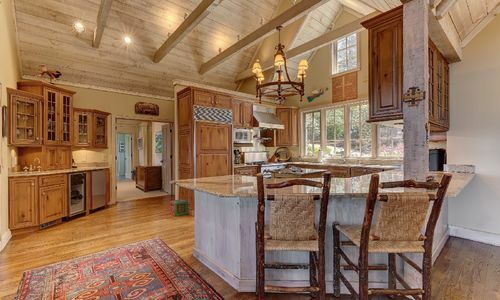 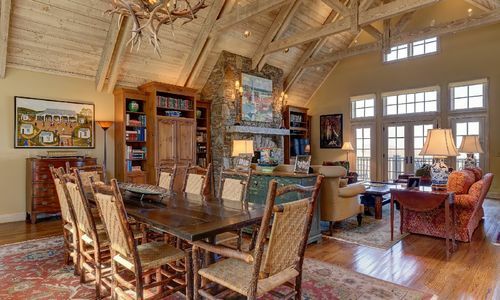 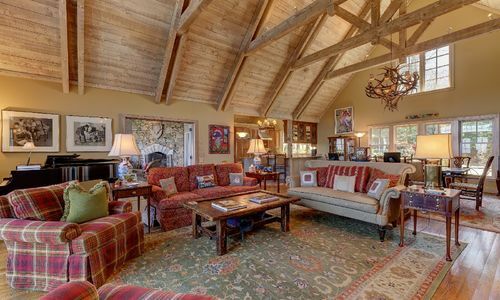 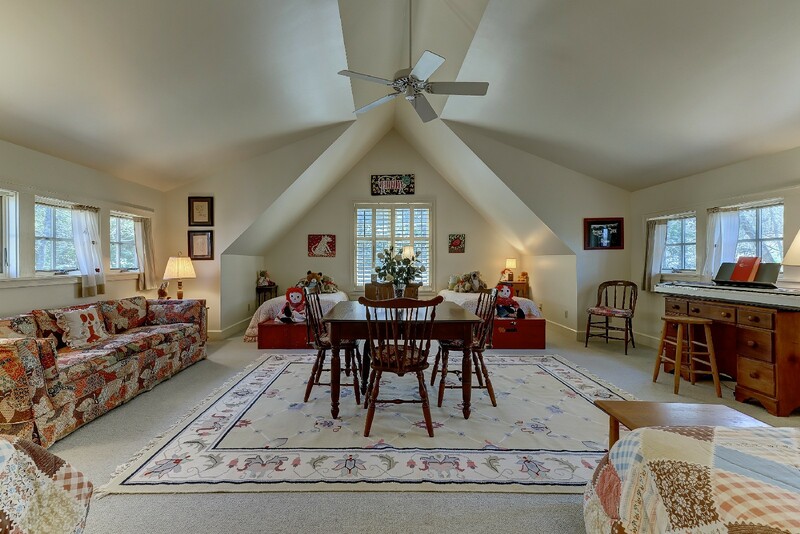 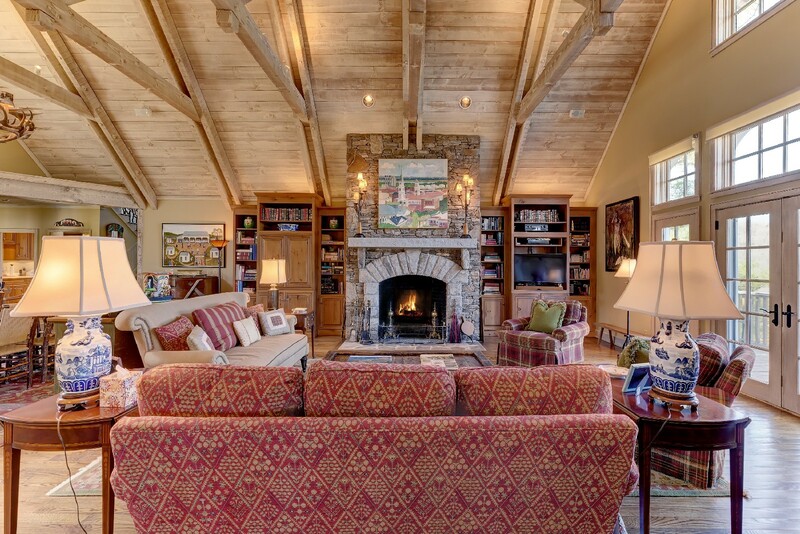 The soaring ceiling and open living room add to the appeal. 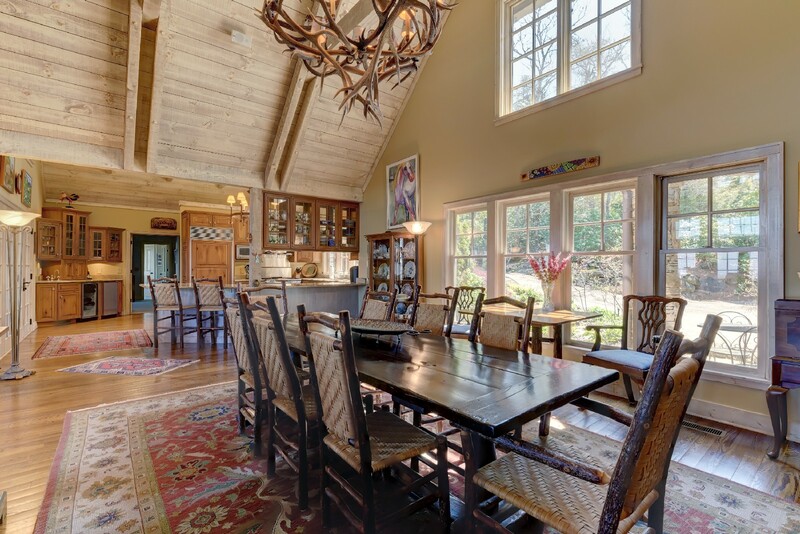 The living, dining, kitchen and award-wining bar area layout make it an easy flow for large groups. 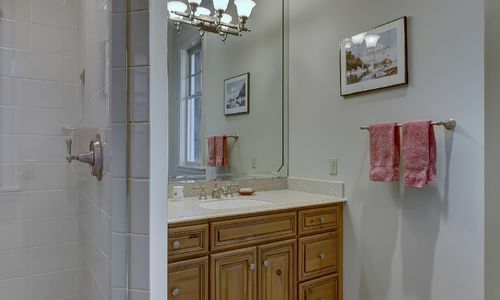 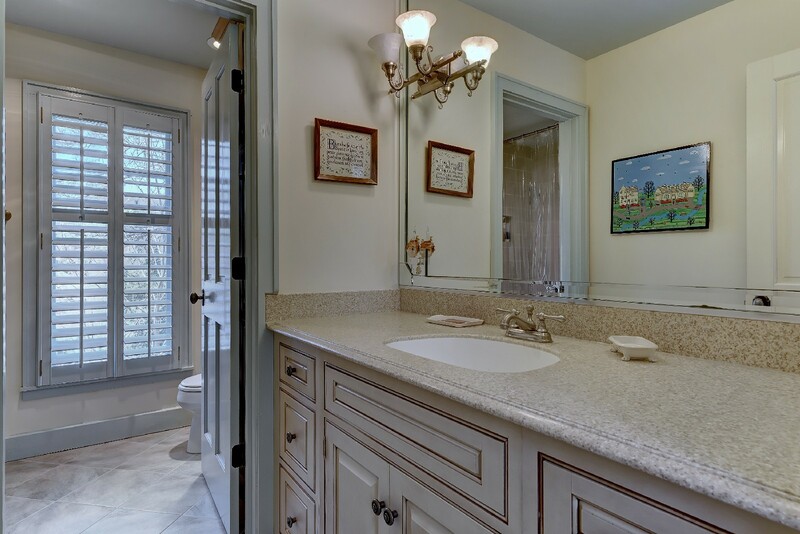 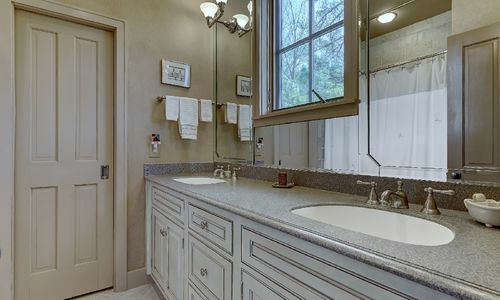 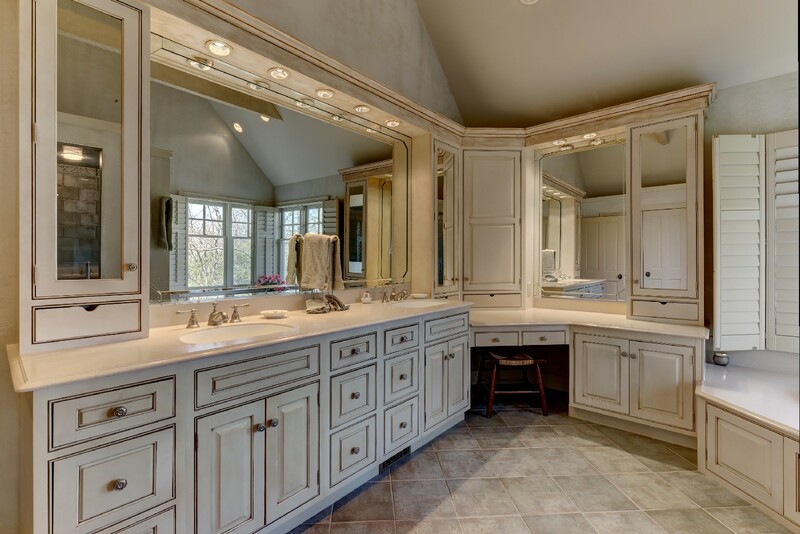 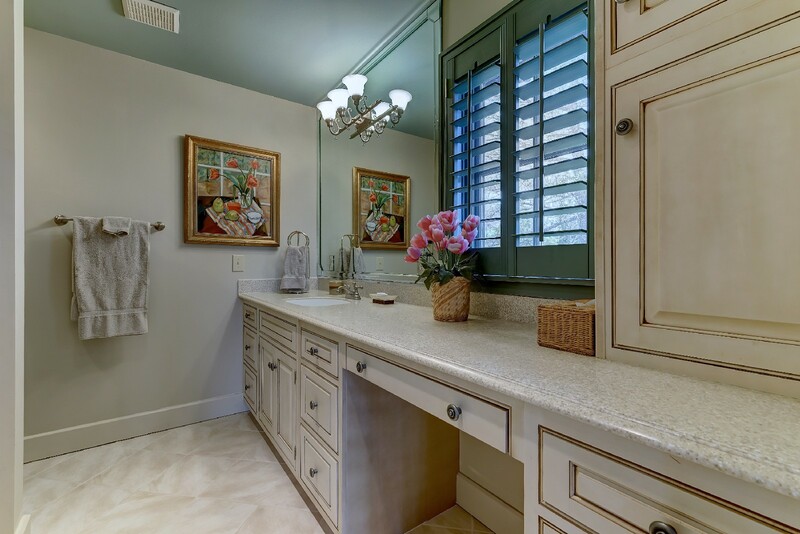 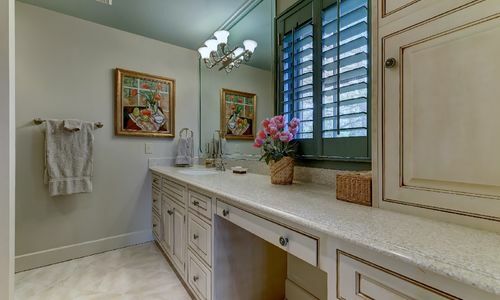 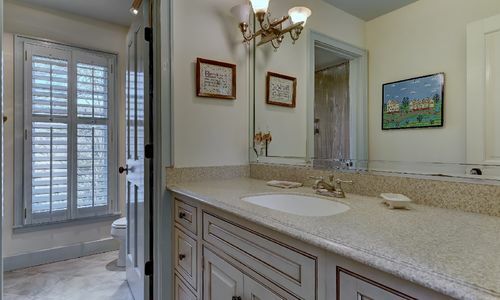 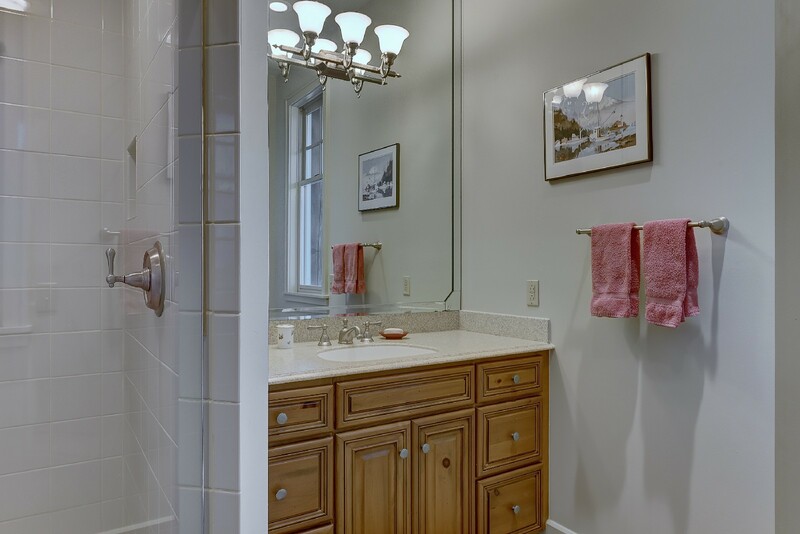 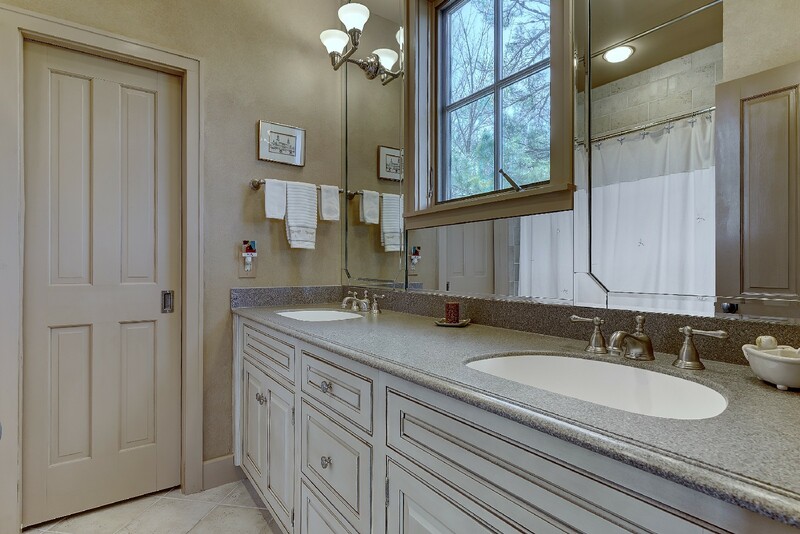 The oversized master bedroom and bath has two separate closets. 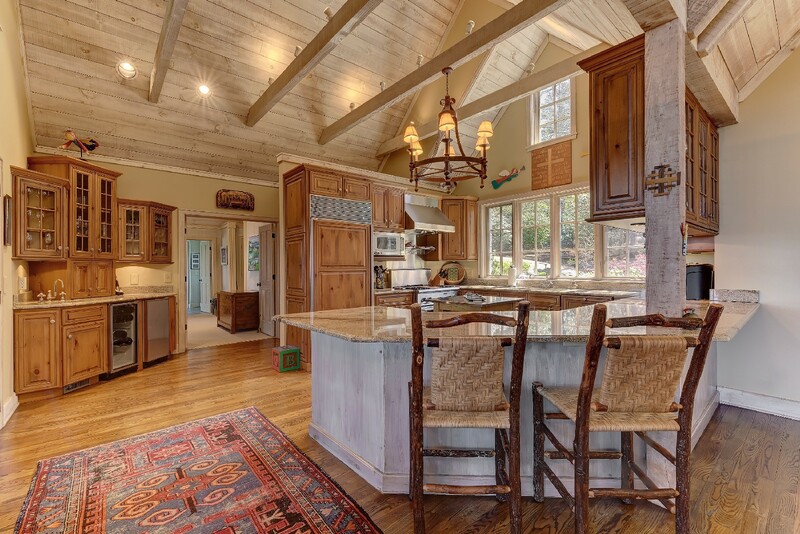 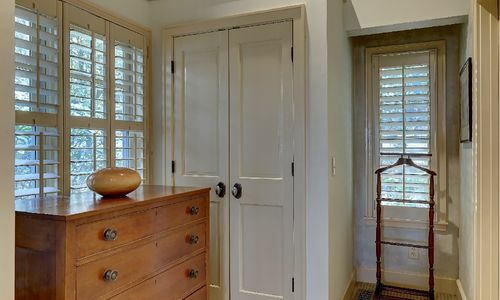 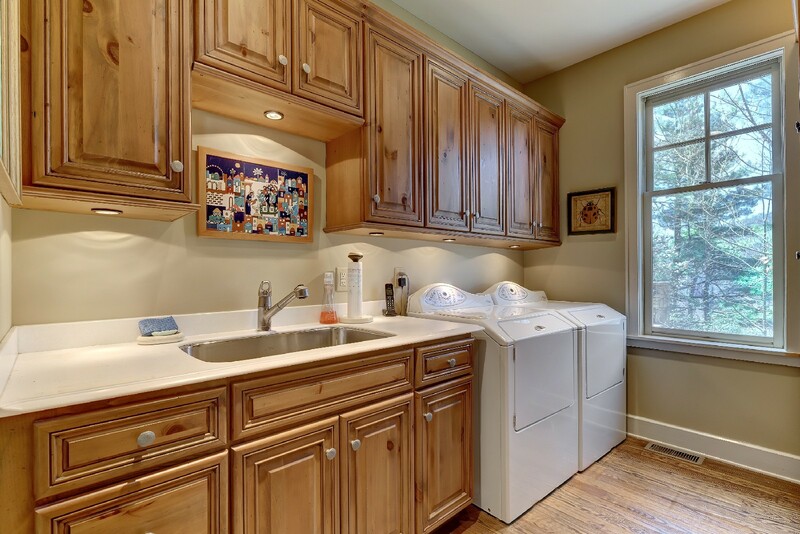 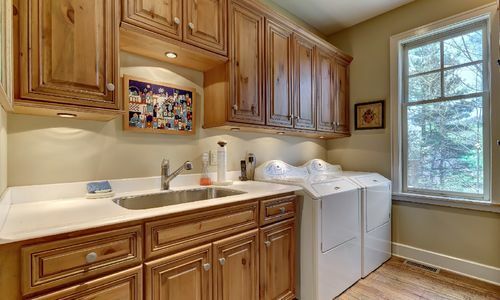 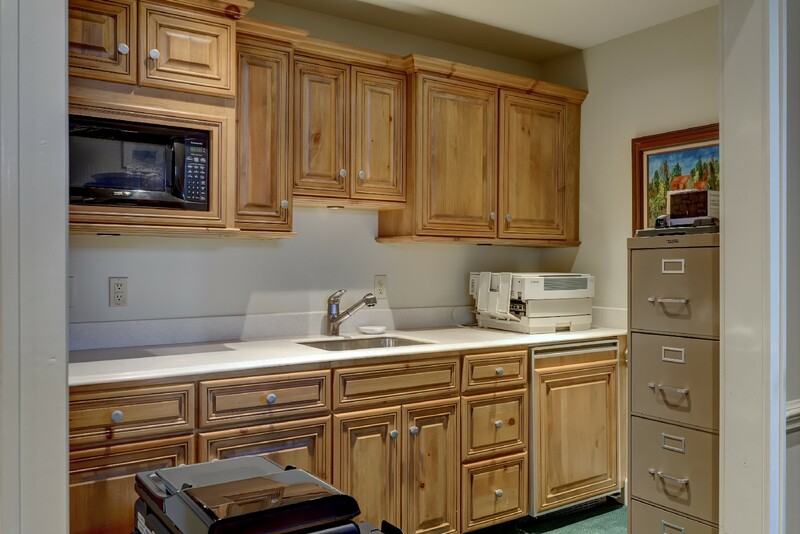 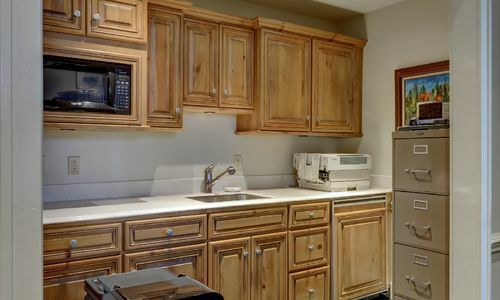 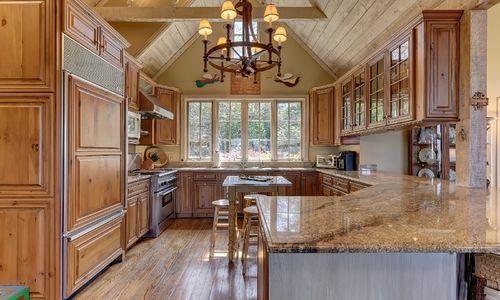 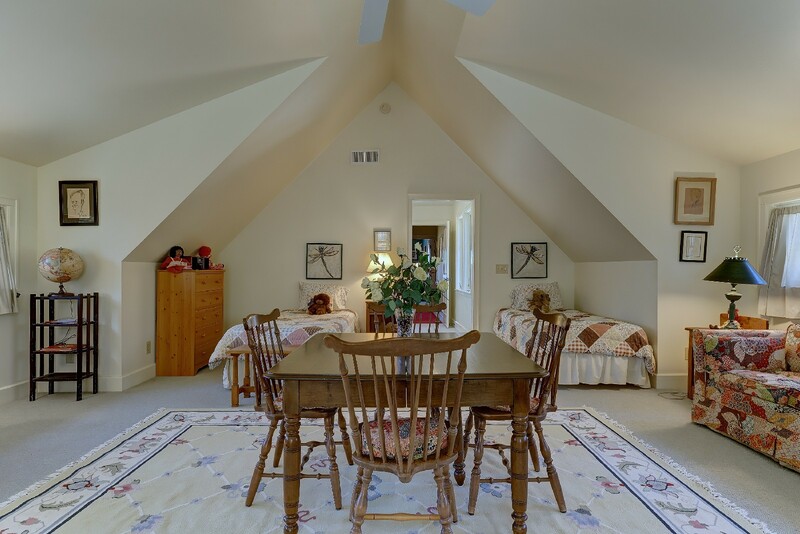 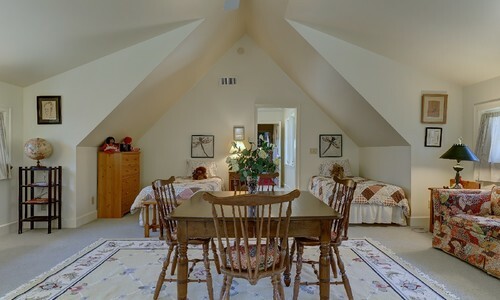 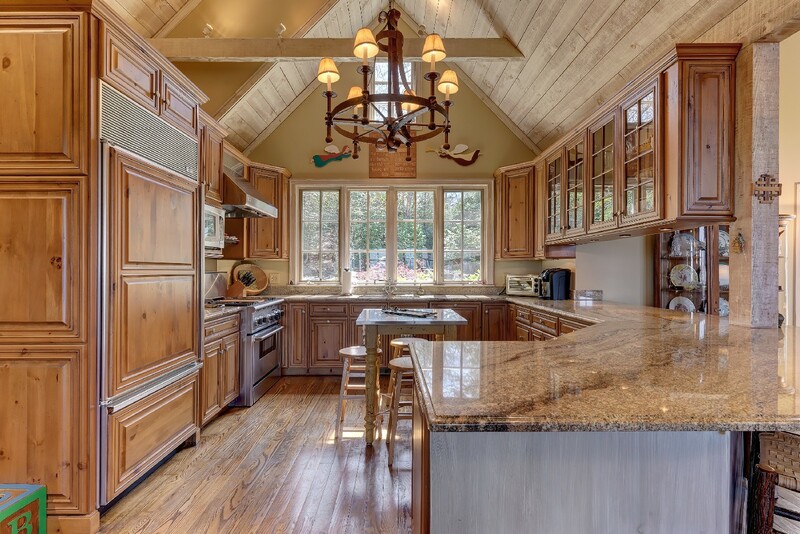 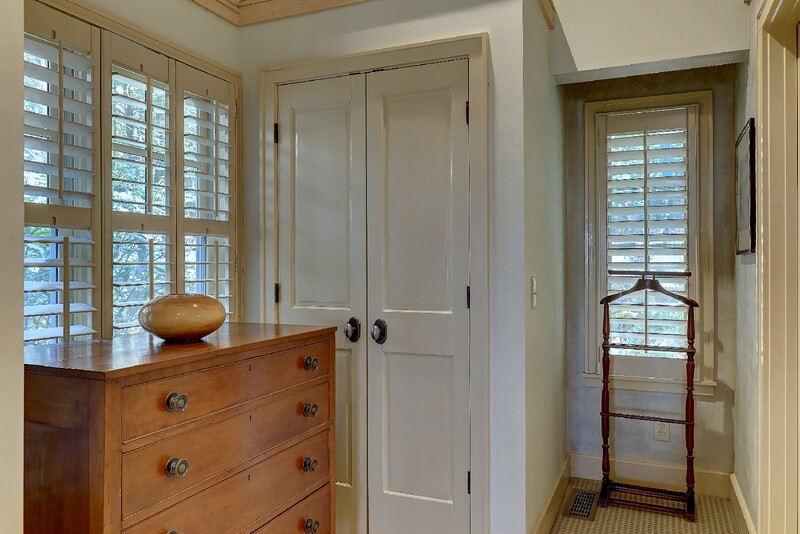 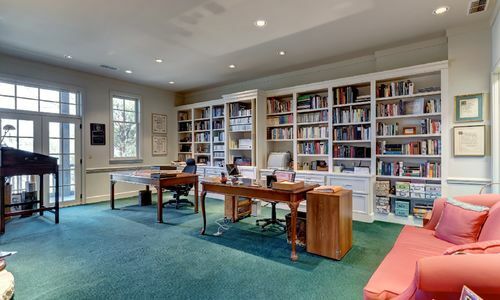 There is an abundant storage area throughout this home. 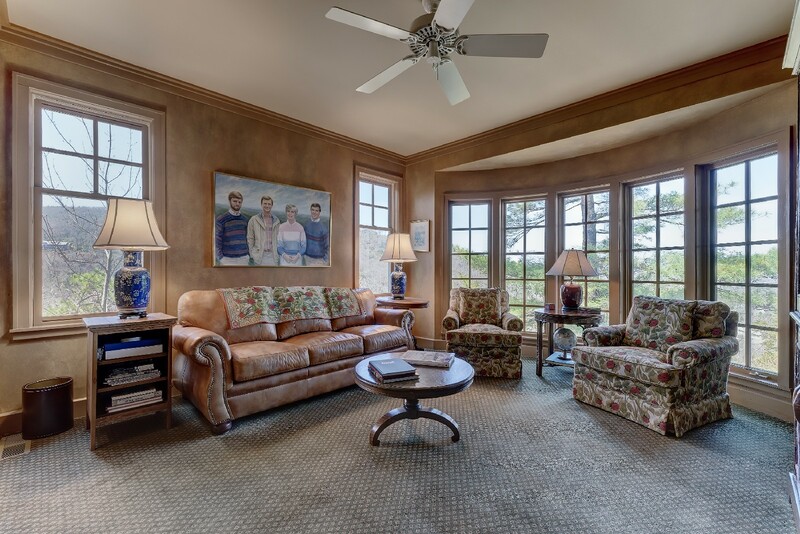 With its own kitchen and fireplace, the terrace level is perfect for a guest retreat, mother-in-law suite, or spacious home office. 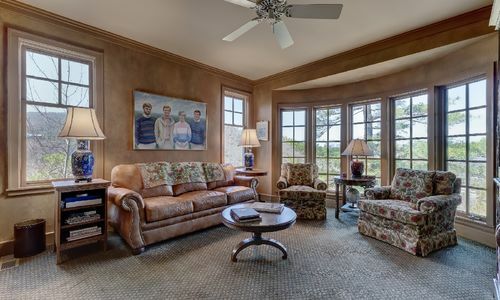 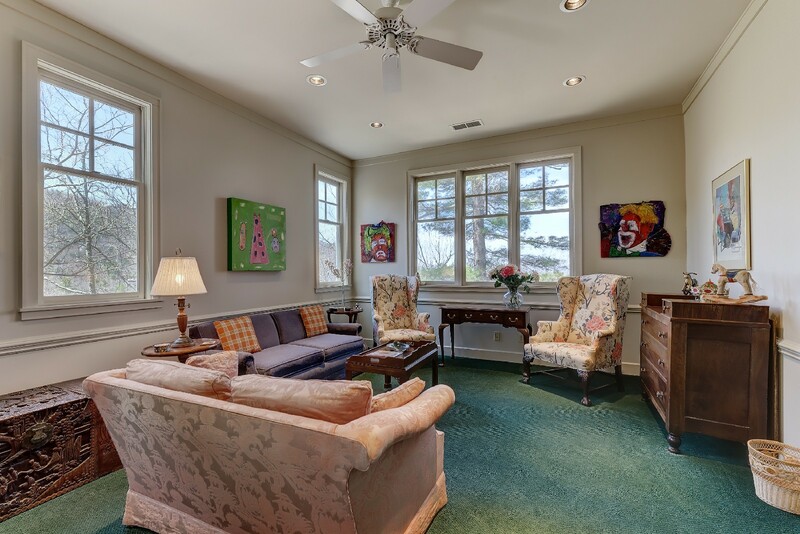 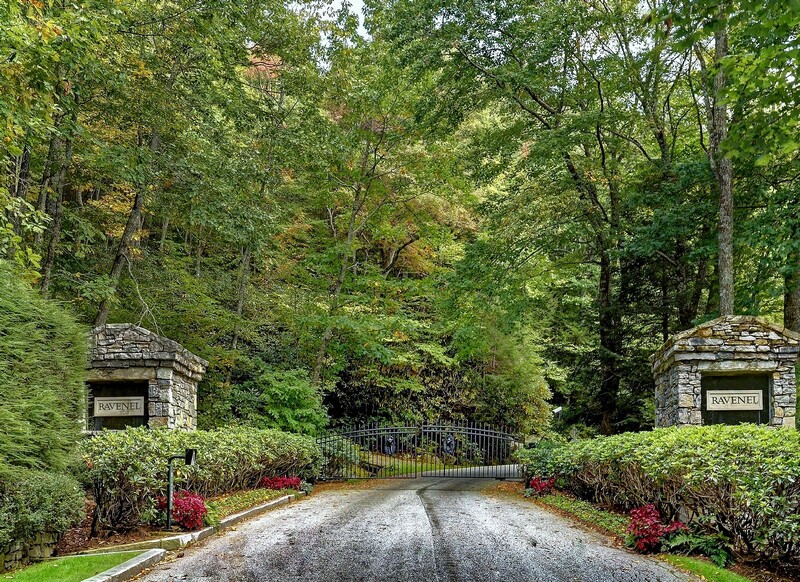 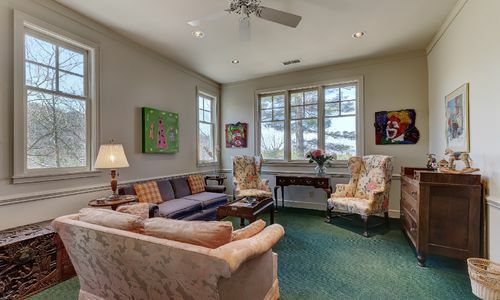 This home is located in the exclusive gated community of Ravenel, which is walking distance to downtown Highlands.